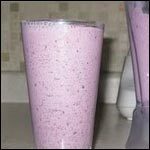 This recipe for Breakfast Drinks was submitted by xo-amanda-xo on 8/3/2005. Click here to view the recipe. Tasted good. I liked it. Regular breakfast is for normies. Love it! Excellent recipe. Quick and easy. Love this drink! Just a question though: Is the egg supposed to be raw if you decide to use that instead of protein powder? 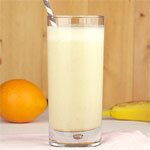 Great smoothie - healthy and filling. I use frozen berries, then you won't need the ice cubes. Amazing! Super fast to make and healthy too! I am so not a breakfast person, so I spent ages trying to find something I would eat. This is quick, easy and delicious, and perfect for me! What can we add if yogurt is a problem? I am lactose intolerant and use almond milk, yogurt is an enemy of my stomach. Tastes great. Thank you for the recipe! It was good with blueberries. What does the recipe mean 1/2 milk do you mean 1/2 cup or what? 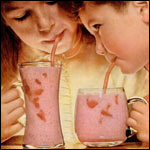 We loved it with chocolate flavored protein powder and chocolate soy milk. I think a teaspoon of honey might be nice too. 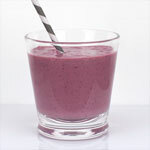 It tastes a lot better with natural raw black berries. This is really good!! One of the best I've tried! I add a couple tablespoons of sugar for that extra punch but otherwise its DELICIOUS!! I thought that this drink was a little different but I will surly try and drink it every day. It was Delicious!!! 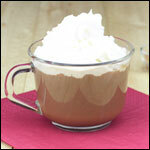 My friend and I love this recipe... we drink it before track meet and before and after pole vault practice! This was my first protein shake and it wasn't gross at all! LOL. Thank you. Soooooooooo good, drink it all the time. I use less berries. Delicious!